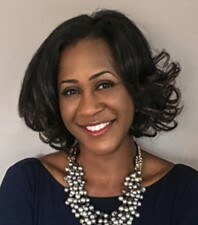 Tiffany has 20+ years of experience in global consumer & shopper insights, consumer & shopper marketing, in-store activation, multi-cultural marketing, and brand strategy consulting. She has gained this experience after several roles at companies like P&G, Colgate and Kantar where she was a Brand & Shopper Marketing Leader and VP of Insights. She has proven success in leading multifunctional client teams and is an engaging marketer and market researcher who brings passion, energy and creative thinking to the business. Tiffany is ready to work with clients and leverage her capabilities in Brand Strategy, Innovation, and customized Consumer/ & Shopper Insights projects across various industries, including: CPG, Retail, Fashion, Fitness, Cosmetics, Food & Beverages, Spirits, Healthcare, Education, Technology, Media, and Financial Services.